1. Wash the lamb chops well and pat dry with a paper towel. 2. In a bowl, rub the oil and all spices together as indicated above. Add the meat and rub the mixture into the chops really well. 3. Cover with a plate and let marinate in fridge for 30 minutes. (If you’re in a hurry, just let it sit for 10 minutes). 4. 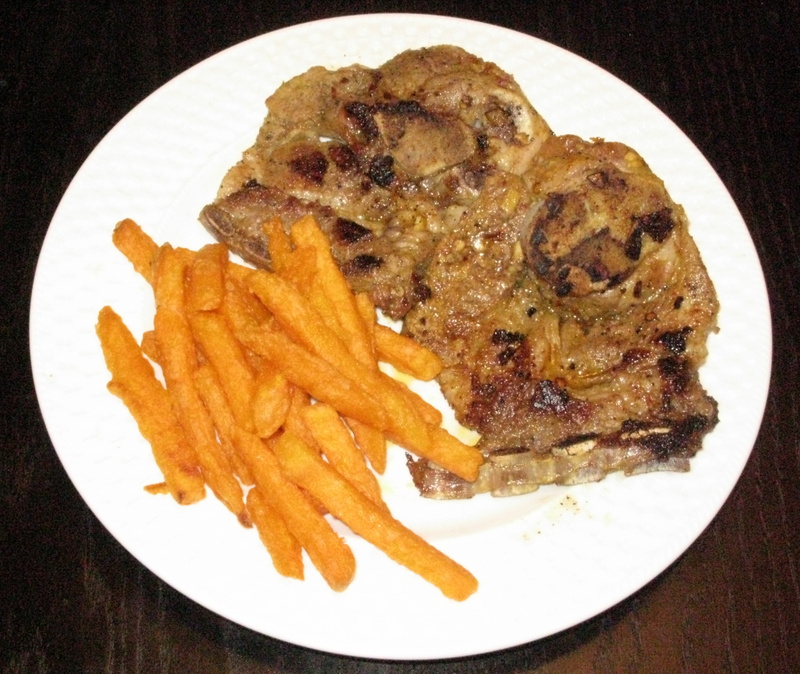 In a non stick-pan or skillet, cook the lamb chops on medium to high heat for 6-10 minutes turning over the meat frequently. You may want to rub a little oil into the pan/skillet before grilling. Recommendations: Enjoy with sweet potato fries or a hearty salad!